The team here at Choice Holidays are often asked what is the best time of year to book holidays to Malta. There is a short answer and a longer answer. The short answer is any time is a good time to visit Malta and Gozo. Though if you had to press for specific months, we'd say, April, May and June. The reason for choosing these 3 months would be that the weather has not really heated up, there are fewer people around, there's mostly sunny days and the nights are cool, though you'll probably only be able to swim comfortably swim in June. The best weather of the year - the temperature would be from 20 degrees celsius, with mostly sunny days. In May some people start swimming but April onwards is good for actually visiting the beaches. The most popular for annual events - we mention plenty of annual events is which you can see in the different months, but events such as the International Fireworks Festival, Festa Frawli, Isle of MTV, Medieval Mdina, Earth Garden and even the local feasts start to ramp up. Beat the heat and peak tourist season - as in most countries in Europe, July and August are really peak becoming incredibly busy. This also happens in Malta, so coming earlier beats most of that. July and August gets pretty hot, so for people not used to the heat, this gets a bit overwhelming. Malta at it's most beautiful - given that the country is pretty dry in summer, you'll find that most greenery is right after the country is coming out of the windy winter months, the countryside is in full bloom in April / May. But with a fantastic climate, over 300 (three hundred) days of sunhine and more than three thousand hours of sunshine a year couple with mild winters, any month is a good time to visit the islands. Rainfall is typically around December, Janaury and February, but rainy days are few and mostly far between most years. But let's have a deeper look at the best time to visit Malta. But before you do, if you're planning on visiting, we can send you our monthly special offers! Click below to sign up to our newsletter. The longer answer is that the ‘best’ time depends on what you want to do when you get here. There are things going on all year round on Malta with different times of year lending themselves to different pastimes and activities. For example, the summer is the best time of year to visit Malta and Gozo for sun worshippers and those who like the heat. Winter and spring are ideal for those who like to be active while on holiday as temperatures are lower but the sun still shines. To help you decide the table below offers a high level overview of the climate here on the island. As you can see, we rarely get less than five hours of sunshine per day and temperatures remain mild throughout the winter. October, November and December are our wettest months but we still have mild temperatures and a good dose of sunshine. Compared to the UK the weather in Malta is as close to idyllic as it is possible to be! With an enviable climate, the next consideration of when to plan visiting Malta and Gozo is going to be what there is to do here. We have broken the year down into months and will highlight some of the many special events and other ideas that may help you make your mind up about when to book a Malta holiday. Below is a breakdown of what is typically going on during each particular month of the year. These are activities which typically take place every year, so we haven't actually included any events or activities which are one-offs. For that, you might actually want to visit our blog and What's going on in Malta. January is a quiet time on Malta so is ideal for bargain hunters and those who like active holidays. Temperatures are cool and we experience short, often heavy showers but also an average of five hours per day of sunshine. There are cheap flights and accommodation deals throughout January once New Year celebrations are over and it is a good time to visit if you don’t like crowds. If you like walking, cycling or exploring, January is a good time in winter months thanks to lower temperatures and fewer visitors, let's say for a walking holiday. It will be warmer than most of the rest of Europe, that's for sure. 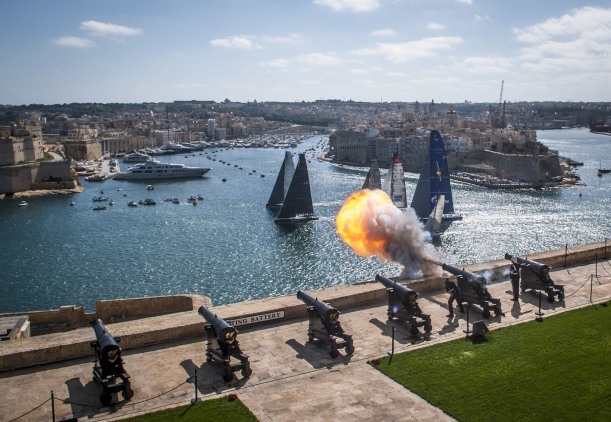 Valletta 2018 - Europe's Capital of Culture kicked off on the 20th of January in 2018 and events kept on going throughout the year. 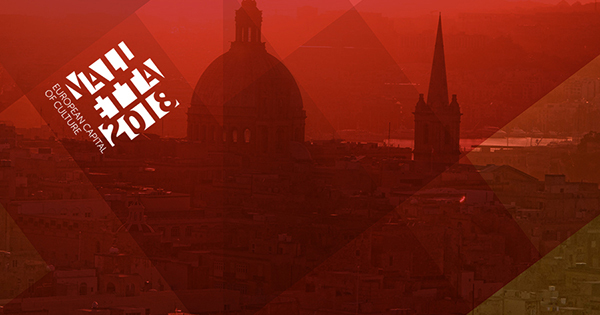 Even if you missed coming to Malta in time for Valletta 2018, you'll find that in 2019, Valletta is still vibrant and many of the events held for Valletta 2018 have become permanent structures and / or exhibitions. In particular, most of the renovations which had been planned ahead still make the city beuatiful and so are the various establishements (catering, accomodation, shopping) which had opened in anticipation of 2018 are still bustling. Valletta remains one of the top attractions of Malta, and we'd recommend taking a look at our complete Valletta guide, but it's great to visit any time of the year. This year sees the Valletta International Baroque Festival 2019 from the 11th to 26th of January as well as lots of music and performances across the three cities. February is similar to January with regards temperatures but we see much less rainfall and a little more sunshine. As this is still low season, there are lots of cheap flights to Malta and bargain accommodation to be found across the island. Also like January, February is a good time for those who like to remain active while on holiday. February also sees our Feast of St Paul’s Shipwreck on the 10th February, the Malta full and Half Marathon is on or around the 25th and a range of local music and performance events. The highlight of the month has to be the Carnival which in 2019 has actually shifted to March (1st to 5th). Celebrations start on the Friday and run right through until Tuesday and include parades, bands, costumes, and local events. March sees even less rain and slightly warmer temperatures with a similar amount of sunshine. 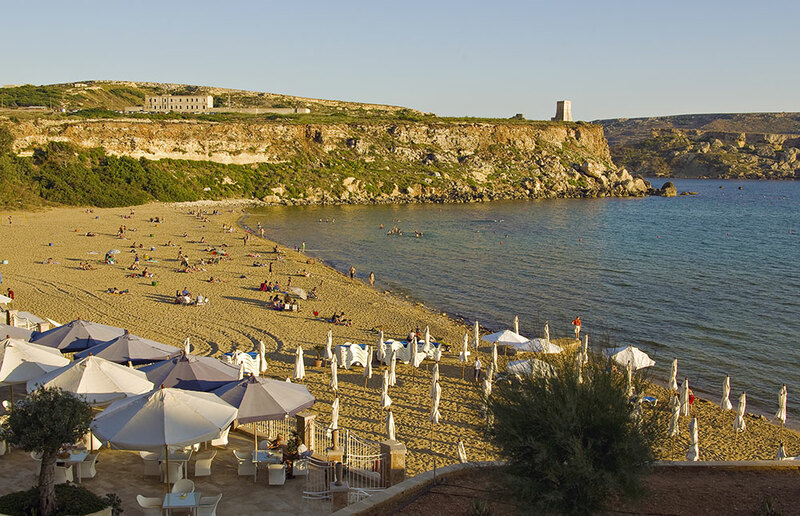 It is a calm month for the Maltese climate yet is still early enough for cheap flights and bargain accommodation before the crowds begin to arrive from May onwards. You might want to see the Alarme! Re-enactment at St. Elmo if the weather is good! This 50 minute re-enactment shows the French French arriving to Malta, and shows the turbulent history that followed them. Want to party like a local? The San Guzepp feast is on the 17th to 19th and the Freedom Day holiday is on the 31st. Lots of local music and performances are also held across Malta. April is when the good weather turns into great weather yet is still too early for the crowds. This is the best time to visit Malta if you want to experience more of our island before high summer. The average temperature starts to climb while rainfall slows. The sea temperature is still cool but not cold and we usually enjoy around 8-9 hours of sunshine a day. This year, Easter is celebrated late, with Good Friday being celebrated on the 19th of April, Easter Sunday occuring on the 21st of April. The Good Friday procession and the Easter Sunday process of the Risen Christ are a must-see. Small villages in particular still put on a great procession, with literally thousands of individual actors from the whole bible - a must-see, even for the non-religious. Have a glimpse at the below snippet from the Good Friday procession, in Zebbug Malta. If you’re not religious, no problem! April has other amazing events, such as the annual Festa Frawli (strawberry Festival) on the 7th of April, the George Cross Commemoration on the 13th, and the Malta International Fireworks Festival on the 24th April to the 5th of May! Don’t miss partying like a local at the Feast of St Joseph from the 25th until the 1st of May, either, or the Malta International Music Festival, which is happening on the 29th of April and lasts until the 10th of May. Want to just chill and jam out? This year, Rock the South is taking place between the 12th and the 14th of April, with over 100 acts slated to perform. May sees lots of sunshine, very little rain, warmer temperatures and is probably one of the nicer times for visiting Malta. The sea is warmer and many begin venturing into the water to dive, swim or generally enjoy themselves. With an average of 10 hours a day of sunshine, and temperatures which have still not peaked, it is one of the best times to go to Malta. For the party goers, May starts off with a bang, with AMP's Lost and Found Festival which sees thousands of clubbers in 3 days festival with tens of international DJs, of course, including Annie Mac herself! May events include the Valletta Green Festival (date to be determined), more In Guardia Re-enactments, the annual Hal Kirkop Irkotta Festival on the 20th, the Feast of the Annunciation from the 24th until the 3rd of June, and the Feast of Madonna Tal-Lunziata from the 25th to 27th. This year, May is also hosting the Malta Mechanised Ground Fireworks Festival on the 4th of May. The Maltese love their fireworks, and we’re known for it, so don’t miss it if you’re travelling in May! 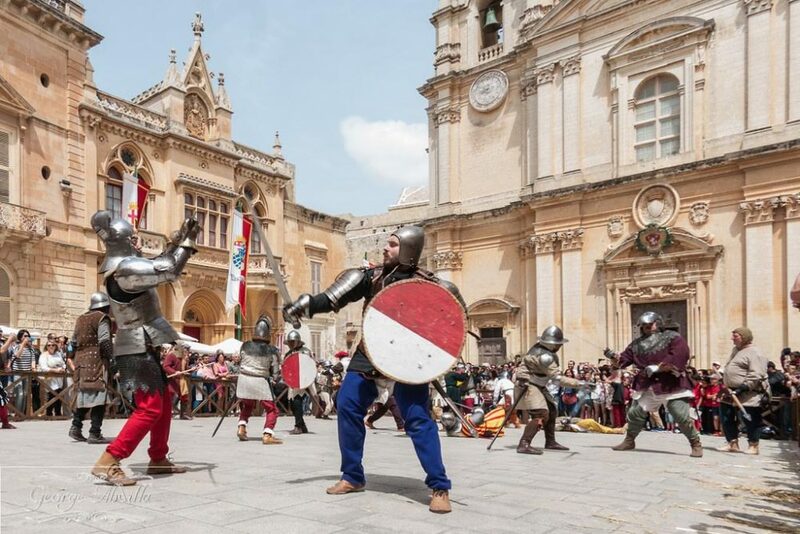 Furthermore, Medieval Mdina is also taking place in May this year, from the 5th to the 6th. This is an annual event where Mdina is taken back to the Medieval era: musicians serenade on street corners, and the streets are filled with flowers to bring to life an older way of living. Another hot event which goes on in May is the now yearly Malta Fashion Week ( date to be determined). 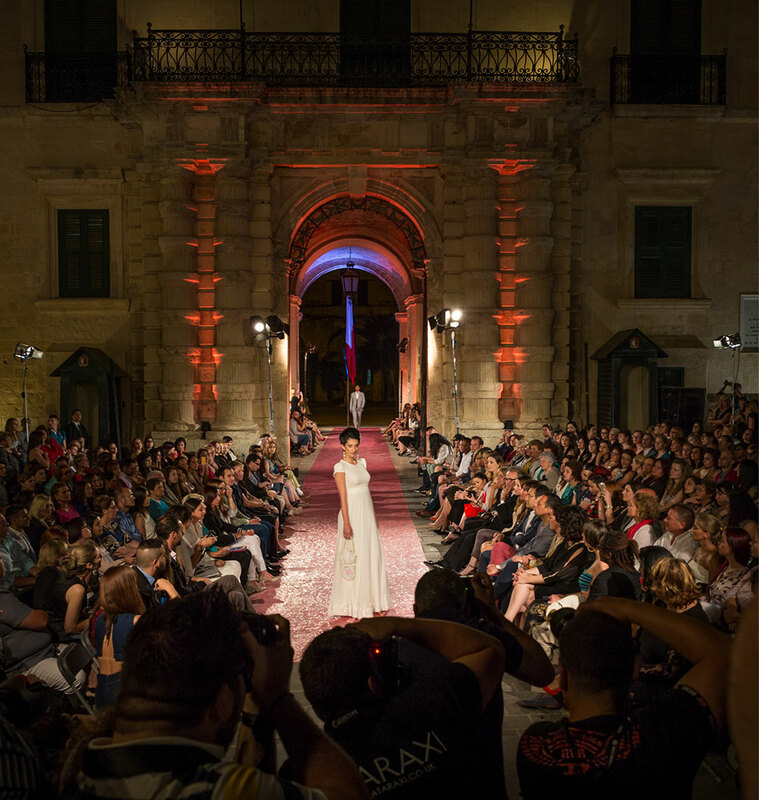 This is a highly-organised event showcasing a number of local and international fashion designers, the highlight of the fashion industry in Malta. The weather in Malta in June is probably at its best. Warm temperatures, lots of sunshine, very little rain (hardly likely to happen) but without the dry heat of high summer. The evenings in particular are very nicely breezy, perfect for chilling out at lounges near the sea. The island begins getting busy during June so is the best time to visit Malta if you enjoy a lively, bustling atmosphere with lots going on. The island is still green and the seas are slightly warmer so activity holidays are ideal during June too. June sees a lot of events on the islands including the Feast of San Guzepp from the 1st until 3rd, and the Santissima Trinita feast from the 8th until the 10th. If you’re looking for a cultural holiday, the Valletta Film Festival is held from the 14th until the 23rd; this year, the theme is ‘Cinema of Small Nations’, and it shows the best of the best filmmaking and films originating from over 30 small nations in Europe, the Middle East, and Africa. The nightlife scene starts to really get busy from June. Top nightlife hotspots such as Paceville, Bugibba, Sliema and even Valletta are all teeming with life. The nightlife scene starts to really get busy from June. Top nightlife hotspots such as Paceville, Bugibba, Sliema and even Valletta are all teeming with life. Also, we can’t mention June without mentioning Earth Garden - although it traditionally starts on the 30th of May, the real festival kicks off in June, with overnight camping and multiple stands dotted throughout the arena. The Malta Music Week also typically is held around June, with the highlight of the week typically being the Isle of MTV Malta Special, which sees tens of thousands of people flocking to the concert of international headliners, warmed up by the most popular local artists. Still deciding whether to spend a few days here? Want to grab a deal? We select the best offers and send them once a month, click below to get on our list. The weather in July becomes hot and dry so is the best option for sun worshippers or those who like to share their holidays with lots of other visitors. Summer is in full swing and all of the life and vibrancy that makes the island such a fantastic place to visit is evident everywhere. July sees lots of feasts, concerts, festivals and local events. Some include the Festival of Figs (date to be determined) in Xaghra, the San Bastjan Feast from the 13th to 15th and Arti Fil-Misrah every Friday in July, where Mellieha is transformed into a who’s who of artists, local crafters, and artisan stalls. There's also the now annual Marsovin Wine Festival on the 5-7th July, which takes place in Hastings Gardens with spectacular views, while enjoying some excellent local wine and food. 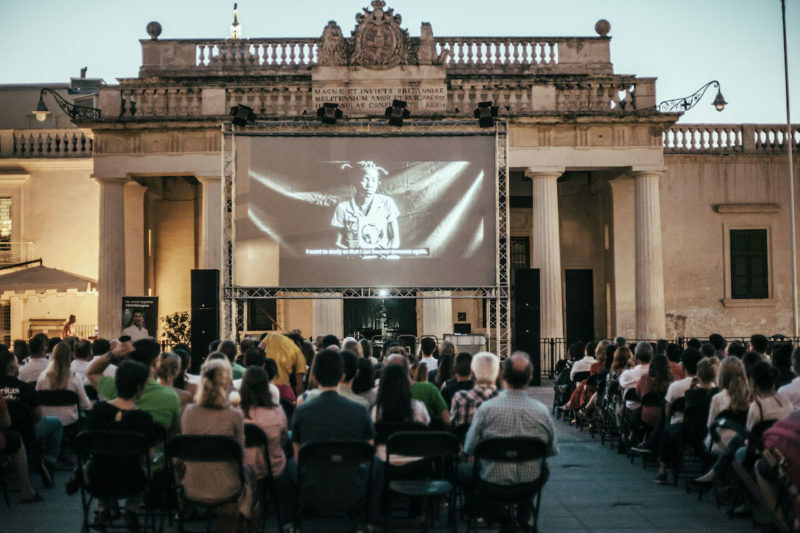 Other events in July include the Malta International Arts Festival, which showcases performances from both European and Maltese artists, and will be happening between the 30th of June and the 13th of July. The Festival of Light also typically leads to the L’Imnarja Summer Folk Festival in Buskett; this usually happens in July, although the date is yet to be determined. If this is not to your taste, there are two other events that might be: the Malta Jazz and Rock Festival, from the 15th to the 20th of July, and the Farsons Great Beer Festival from the 26th of July to the 4th of August. Both are heavy on the music and the night-life, so come prepared! And you can’t miss the Malta International Foods Festival, which takes over Mdina with beautiful, fragrant stalls filled with exotic foods from around the world! This takes place from the 17th to the 21st of July. The weather in August is at its hottest. With average highs of 31 degrees and up to 11 hours of sunshine per day, this is prime time for visitors. The island gets busy and very, very lively in places. The atmosphere is amazing with lots of energy from holidaymakers enjoying the beaches, nightlife and history of the island. It is the best time to visit Malta for sun worshippers. There are fewer events during August than July because of the heat but there is still always something going on. Events include the Delicata Wine Festival (date to be determined), the feasts of San Guzepp and San Duminku from the 3rd to the 5th, Notte Di San Lorenzo fireworks on the 9th, the feast of Santa Maria from the 13th to 15th. This year, Glitch Music Festival is also taking place in August, with early-bird tickets already on sale for one of the biggest events on the island! The weather during September cools slightly and humidity rises. Rain showers also become more likely but the weather is still awesome. With an average of 8 hours of sunshine, it is a good time if you want to avoid the summer months but still have great weather without the dry heat. Victory Day is the 8th of September, and it’s usually celebrated for one of multiple reasons - whether it’s because of the Italian surrender to the English in World War II, the birth of the Holy Mother, or the end of the1565 siege! It’s celebrated in Naxxar, Gozo, Senglea, and Mellieha, and includes a rowing regatta between six of Malta’s biggest teams! The 21st of September is also a landmark event in Malta - it’s when the islands gained their Independence, and besides the ceremonial flag-hoisting in Floriana, there’s a number of small festivities dotted around the island, so no matter where you are, you can still take part. October sees temperature reduce slightly and the chances of rain increase. We still enjoy an average of 7 hours a day of sunshine and the weather is still lovely compared to the UK. If you like to avoid the crowds, October is the best time to go to Malta. You still get good weather, it is still warm, there is still lots to see and do but it is much quieter than high summer. October is quieter than summer for events but there is still a lot going on. They include the Malta Classic Grand Prix (date TBC) and the Malta Tattoo Expo (Date TBC). October also sees Birgu lit up by candles during Birgu Fest from the 12th to 14th, the Malta Military Tattoo marching through Valletta on the 13th and 14th, and the Rolex Middle Sea Race taking place around this time (date to be determined). 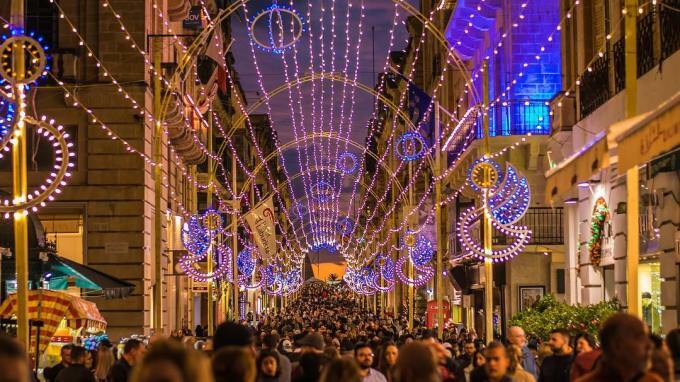 Culture lovers also shouldn’t miss Notte Bianca in Valletta, which takes place on the 5th of October and has shops and restaurants staying open late to attract late-night bargain hunters, as well as various musicians in the streets. Palaces and museums also stay open, so if you like culture-vulturing, Notte Bianca is good for you too! November is one of Malta’s wettest months but is still warm and has an average of 6 hours of sunshine per day. The weather is about as unpredictable as it gets here, with the risk of cloud cover and rain showers throughout the month. It is still nice and is nothing like a November in Britain, with the sun coming out in between the clouds and the few rainy days! It's still a great time for an activity holiday, particularly for exercise intensive sports such as climbing, cycling or walking. Events are mainly indoors during November but there is still plenty do to if you travel to Malta in winter. Options include the Three Palaces Concerts from the 4th to the 12th, GEX Gadgets Expo on the 10th and 11th, Remembrance Day on the 11th, Malta International Organs Festivals (Date TBC), The Official Lighting of Valletta on the 17th and The Malta Book Festival from the 8th to the 12th. December is the wettest month of the year so is the best time to visit Malta if you prefer to avoid the heat. Temperatures are still mild compared to Britain and rainfall is often sporadic and mixed with cloud. With lows of only around 16°c and an average of 5 hours of sunshine, it is still nice to be out and about on the island. The events calendar slows down for December but includes lots of local Christmas fairs, festivals, markets and performances. Other events include Republic Day on the 13th, the Malta International Christmas Choir Festival from the 5th to the 9th, and New Year’s Eve Celebrations across the island on the 31st. As we have discussed, the islands are literally great all reay-round. In terms of number of tourists, you'll find that June, July and August are the peak of the tourist season - touristic destinations such as beaches can get quite crowded, but it never gets overwhelming. As with most destinations, you'll find that prices of accomodations and entertainment are going to be at their highest during this time. Accomodation will obviously be much cheaper between February and May, and the fewer numbers of tourists makes the attractions much much nicer. If we had to share a favourite month to visit, we'd say April and May. This is when tourist numbers have not picked up heavily, the weather is beautiful during the day and in the mid 10's during the night and everything is nice and relax all-round. You'll find some summer attractiions will still not be available, but if you're looking to enjoy the islands without focusing on the sea too much, April and May are perfect. Another great month is June. Summer activities have kicked in, the nights are breezy and warm and the days are just plain gorgeous. Will attractions always be open? During August, just like in most other Mediterranean countries, particularly Italy, there is a shutdown - known locally as Santa Maria - which peaks on the actual public holiday on the 15th of August. While the larger entertainment places and industries will be going at full-blast, some smaller family-run restaurants might shut their doors. Small services businesses will typically also shut down for a few days, but this should not affect your holiday. Rather than affect you in any way, you're more likely to find the island flooded with Italian tourists. While Christmas used to be similar, these days you'll find that business goes on as usual during the festive season in December - making the islands a fantastic destination for Christmas. You might find that shopping malls and shops and a few others will on Christmas Day and New Year’s Day but you will find that many restaurants and shops open around these days. While most shops usually close on Sundays and all public holidays the year through, you'll find that some shops take advantage of the situation and open on these days too. You'll find that the locals will tend to flock to these areas, such as shopping malls on public holidays - so they do tend to get busy. As you can see, the opening statement of ‘any time is a good time to plan Malta holiday’ is true. Whatever month of the year you choose, there is always something going on. The weather is always nice here even when it’s wetter than usual. It doesn’t really get cold and even during midwinter we still average at least 5 hours of sunshine a day. If that doesn’t convince you that Malta is the place to visit this year, we don’t know what will!